From 1927 until 1937 Kenneth and Margaret Landon were Presbyterian missionaries in Siam, present-day Thailand. While there Margaret became interested in missionary history. After her arrival she realized that she was part of a much larger community and a continuity of ministry that went back many years. Margaret became interested in three missionary women that traveled to Siam on the S.S. Peking in the fall of 1878. Interestingly all of their surnames began with “C.” These women were Belle Caldwell of Wheeling, West Virginia, Mary Margaretta Campbell of Lexington, Indiana, and, Edna Sarah Cole of St. Joseph, Missouri. Campbell and Cole, former schoolmates, were assigned to work in Chiengmai in northern Siam and Caldwell to a girls school in Bangkok. In 1880 Caldwell married fellow Presbyterian missionary John Newton Culbertson. They left the field in 1881. That same year, in February, Edna Cole’s partner, Mary Campbell, drowned while a brief vacation. This left Cole as the last of the three to remain in ministry in Siam. Edna Cole graduated from the Female Seminary in Oxford, Ohio (later absorbed into Miami University of Ohio) and remained on the field until 1923. 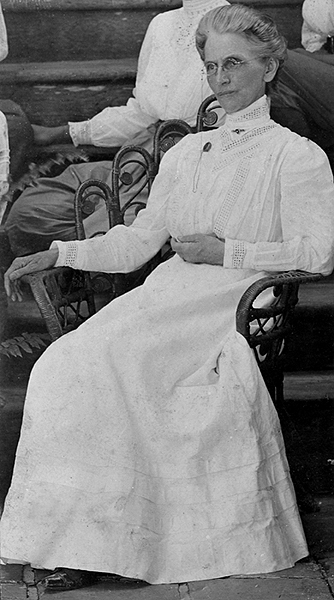 She later moved from Chiengmai to the Wang Lang School for Girls–where Caldwell had served. The Wang Lang School was succeeded by Wattana Wittay Academy. Landon saw Cole as the true founder of women’s education in Siam. This is what prompted Landon to write her first book on Cole after her own return from Siam in 1937. Landon had access to all of Cole’s correspondence to her sister while in Siam, but only if she would use them in St. Joseph, Missouri. With a family that included three small children and a husband seeking permanent employment after resigning from missionary service staying in St. Joseph to conduct research was not feasible. Margaret had to give up her project on Cole (who died at 95 in 1950), however, several years later, once settled in Washington, D.C. Landon was able to complete another book project. Anna and the King of Siam was not the story that Landon wished to write. It was not her best laid plan, but it was the one could be completed. Landon’s interest in Siam missions history had been aroused and continued throughout her writing career. She found the missionaries in Siam to be some of the most interesting and unusual people. Landon’s second book, Never Dies the Dream, a semi-autobiographical story of a female missionary running a girl’s school in Siam, was a way for her to sustain that interest.